to add an equity partner or not to add, that Is the question? I’m always curious to know why Business Owners quite freely jump to the suggestion of bringing in an equity partner when thinking of growth. Especially if they claim they have funds to add to the pot! Whereas the option of Growth by Acquisition rarely gets a look in. I’m not suggesting for one minute that it’s not an option, not at all. But it is often flippantly thrown about as one of a number, almost without real considered thought behind it. The way I structured this decision, way back in the heady days of aCE talentNET was to have my prospective business partner work as a sub-contractor for 12 months. If a relationship is going to work, or not, doubts will have raised their head by the conclusion of that time frame, enabling both of you to shake hands and walk away, before any real damage is done. I wish we had followed the same protocol when bringing on partner #3 but that’s another story. Warning: don’t always let reputation get in the way of adhering to your process. Having had one way work and the other be a disaster, I know which I will repeat again in future. 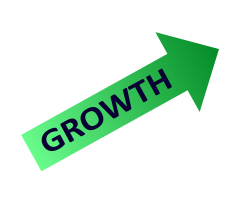 Something I strongly urge all Business Owners to really think through when broaching the same topic in considering growth options. Think about it from an Exit Strategy point of view. How much easier is it to at least get to the sale decision when there’s only you. The more people you add to the decision making process, the more delay fatigue will potentially set in.